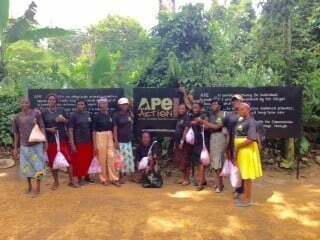 A big thankyou to all the ladies that have donated their unwanted bras in the boutique – we have passed these on to our nominated charity Ape Action Africa who have distributed them to the women in the surrounding villages of Mefou Primate Sanctuary, who are very grateful! Here is a letter received from the charity on behalf of the ladies. 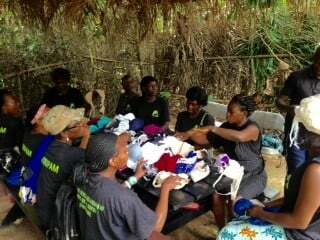 Thank you so much for your generous donation to our female staff and the women in the surrounding villages of Mefou Primate Sanctuary. The women were extremely grateful for their gifts. They asked me to pass on their thanks and to let you know that you have brought a lot of joy to so many women with your thoughtful and generous donation. 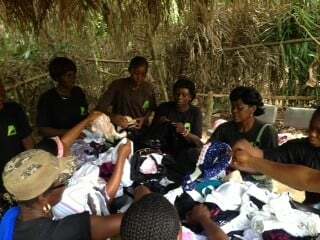 I have attached some photographs of the village delegates who visited today to collect the bras on behalf of the women in the surrounding villages.